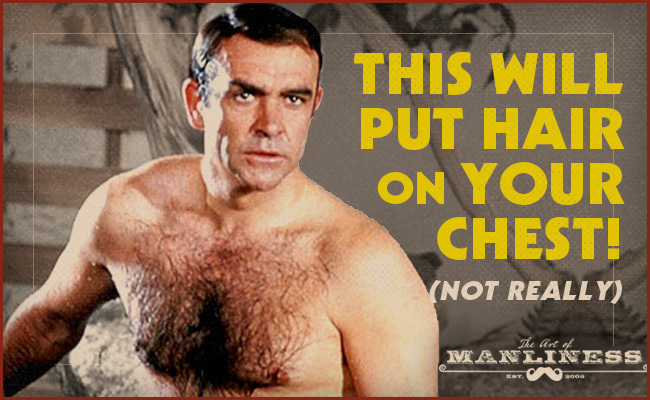 In the link below Brett McKay, creator of the Art of Manliness, highlights ten of the most common things we were told as boys would put hair on our chests (but actually don’t). We hope it will help further the tradition of benign parental cons (i.e., Santa Claus, tooth fairy, “your face will stay that way if you make it for too long,” etc., etc. ).